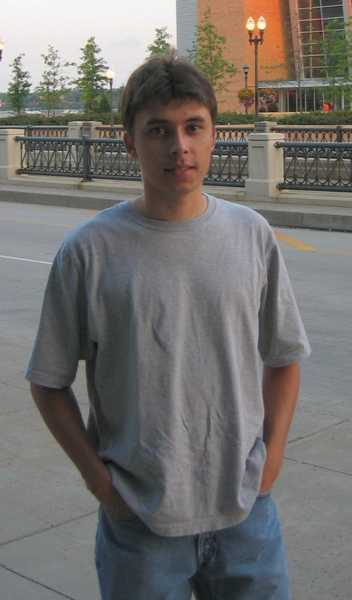 Jawed Karim (Bengali : জাভেদ করিম; born 28 October 1979) is a German-American Internet entrepreneur and co-founder of YouTube. He is the first person to upload a video to the site. This inaugural video – titled Me at the zoo – has been viewed over 65 million times as of April 2019. During Karim's time working at PayPal, where he met the fellow YouTube founders Steven Chen and Chad Hurley, he designed many of the core components including its real-time anti-internet-fraud system. Me at the zoo is the first video that was uploaded to YouTube. It was uploaded on April 23, 2005 at 20:27:12 PDT by the site's co-founder Jawed Karim, with the username "jawed" and recorded by his high school friend Yakov Lapitsky. Merseburg is a town in the south of the German state of Saxony-Anhalt on the river Saale, approx. 14 km south of Halle (Saale) and 30 km west of Leipzig. It is the capital of the Saalekreis district. It had a diocese founded by Archbishop Adalbert of Magdeburg. The University of Merseburg is located within the town. Merseburg has around 33,000 inhabitants. Merseburg is part of the Central German Metropolitan Region. Silicon Graphics, Inc. was an American high-performance computing manufacturer, producing computer hardware and software. Founded in Mountain View, California in November 1981 by Jim Clark, its initial market was 3D graphics computer workstations, but its products, strategies and market positions developed significantly over time. The Visible Human Project is an effort to create a detailed data set of cross-sectional photographs of the human body, in order to facilitate anatomy visualization applications. It is used as a tool for the progression of medical findings, in which these findings link anatomy to its audiences. A male and a female cadaver were cut into thin slices which were then photographed and digitized. The project is run by the U.S. National Library of Medicine (NLM) under the direction of Michael J. Ackerman. Planning began in 1986; the data set of the male was completed in November 1994 and the one of the female in November 1995. The project can be viewed today at the U.S. National Library of Medicine in Bethesda, MD. There are currently efforts to repeat this project with higher resolution images but only with parts of the body instead of a cadaver. Chad Meredith Hurley is an American media mogul, co-founder and former CEO of the video-sharing website YouTube and MixBit. In June 2006, he was voted 28th on Business 2.0's "50 People Who Matter Now" list. In October 2006, he and Steve Chen sold YouTube for $1.65 billion to Google. Hurley worked in eBay's PayPal division—one of his tasks involved designing the original PayPal logo — before starting YouTube with fellow PayPal colleagues Steve Chen and Jawed Karim. Hurley was primarily responsible for the tagging and video-sharing aspects of YouTube. Steven Shih Chen is an American Internet entrepreneur who is one of the co-founders and previous chief technology officer of the video-sharing website YouTube. After having co-founded the company AVOS Systems, Inc. and built the video-sharing app MixBit, he joined Google Ventures in 2014. Internet video or online video is the general field that deals with the transmission of video over the Internet. Internet video exists in several formats, the most notable being AVCHD, FLV, and MP4. Powerset was an American company based in San Francisco, California, that, in 2006, was developing a natural language search engine for the Internet. On July 1, 2008, Powerset was acquired by Microsoft for an estimated $100 million. The YouTube Awards was a promotion run by the website YouTube to recognize the best user-generated videos of the year. The awards were presented twice, in 2007 and 2008, with winners being voted for by the site's users from shortlists compiled by YouTube staff. YouTube was launched on February 14, 2005, and quickly began to grow – by July 2006, traffic to the site had increased by 297 percent. As a result of this success, in March 2007 YouTube launched their own awards promotion to honor some of the site's best videos. Seven shortlists were compiled, with ten videos per shortlist. Users were invited to vote for the winners over a five-day period at a dedicated web page. Singer Damian Kulash, whose band OK Go won in the Most Creative category for their music video Here It Goes Again, said that receiving a YouTube Award was a surreal honor and that the site was changing culture "quickly and completely". "PayPal Mafia" is a group of former PayPal employees and founders who have since founded and developed additional technology companies such as Tesla Motors, LinkedIn, Palantir Technologies, SpaceX, YouTube, Yelp, and Yammer. Most of the members attended Stanford University or University of Illinois at Urbana–Champaign at some point in their studies. Six members, Peter Thiel, Elon Musk, Reid Hoffman, Luke Nosek, Ken Howery, and Keith Rabois, have become billionaires. YouTube Instant is a real-time search engine built and launched in September 2010 by nineteen-year-old college student and Facebook-software-engineer intern Feross Aboukhadijeh of Stanford University that allows its users to search the YouTube video database as they type. It follows on the heels of Google Instant, and has been described as a "novelty toy", a "prototypal digit to tie the “instant” bandwagon" as well as a "completely excellent way to waste 15 minutes". Salar Kamangar is an Iranian-American senior executive at Google and former CEO of Google's YouTube brand. Google+, sometimes pronounced as Google Plus, G+, or G-Plus, was an Internet-based social network owned and operated by Google Inc.. The network was launched on June 28, 2011 which replaced Google Buzz in the attempt to challenge other social networks such as Facebook, Instagram, LinkedIn, Myspace, Pinterest, Tumblr, Twitter and Vimeo and it was designed to link Google's products like Blogger and YouTube. 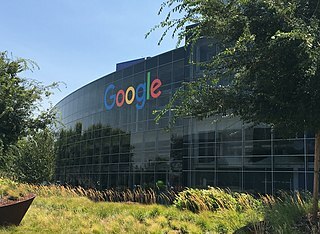 However, these competitive plans by Google via Google Wave (2009–2010), Google Buzz (2010–2011) and Google+ (2011–2019) were never successful and were completely shut down as a result. MixBit was a video sharing service that was created by two of the three co-founders of YouTube, Steve Chen and Chad Hurley. It started on August 8, 2013. MixBit's website lets users create dynamic shared videos. It competed with Vine and Instagram in the video sharing website market. Jeremy Stoppelman is an American business executive. He is the CEO of Yelp, which he co-founded in 2004. 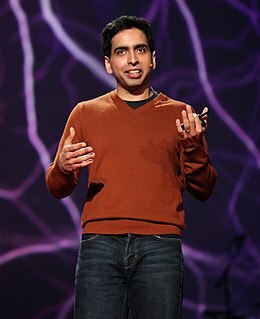 Stoppelman obtained a bachelor's degree in computer engineering from the University of Illinois at Urbana–Champaign in 1999. After a short time working for @Home Network, he worked at X.com and later became the VP of Engineering after the company was renamed PayPal. Stoppelman left PayPal to attend Harvard Business School. During a summer internship at MRL Ventures, he and others came up with the idea for Yelp Inc. He turned down an acquisition offer by Google and took the company public in 2012. Yu Pan is an engineer and entrepreneur mentioned in one source as one of the original six people who started PayPal and the first employee at YouTube, as an early software engineer. He is a former Google employee and also a co-founder of Kiwi Crate, Inc.
Elias "Eli" Zelkha was an American entrepreneur, venture capitalist and professor. He was the inventor of ambient intelligence. A YouTuber, also known as a YouTube personality, YouTube celebrity, or YouTube content creator, is a type of internet celebrity and videographer who has gained popularity from their videos on the video-sharing website YouTube. Networks sometimes support YouTube celebrities. Some YouTube personalities have corporate sponsors who pay for product placement in their clips or production of online ads. As of April 2019, PewDiePie is the most-subscribed YouTuber, with over 94 million subscribers. Bollywood music company T-Series is currently the most subscribed channel on YouTube, also with over 94 million subscribers. ↑ Tate, Ryan (28 October 2009). "The Insanely Rich Kid Next Door". Gawker. Retrieved 15 July 2016. ↑ "Jawed Karim's house in Palo Alto, California (CA), US" . Retrieved 7 May 2016. ↑ "Surprise! There's a third YouTube co-founder". USA Today. Retrieved 22 July 2017. 1 2 3 4 Helft, Miguel (12 October 2006). "With YouTube, Student Hits Jackpot Again". The New York Times. 1 2 Rahman, Muhit (8 December 2006). 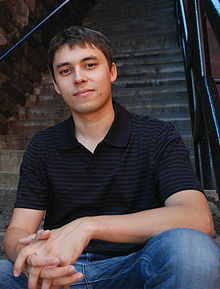 "The Greatest Possibilities: The Jawed Karim Story". Star Weekend Magazine. Retrieved 20 August 2017. ↑ Christensen, Tesha M. (5 September 2016). "Year-long events mark Central High School 150th anniversary". Monitor St. Paul. Retrieved 20 August 2017. ↑ "YouTube co-founder to be commencement speaker at Illinois" (Press release). University of Illinois Urbana-Champaign. 27 March 2007. Retrieved 20 August 2017. ↑ "Planet Cardinal". Stanford Magazine. January 2007. ↑ Karim, Jawed (23 April 2005). "Me at the zoo, YouTube's first ever video". ↑ "Jawed Who? Meet YouTube's silent partner -SVW". siliconvalleywatcher.com. ↑ Helft, Miguel (7 February 2007). "YouTube's Payoff: Hundreds of Millions for the Founders". The New York Times. ↑ 136th Commencement Address Archived 11 April 2009 at the Wayback Machine , University of Illinois, 13 May 2007. ↑ "YouTube Co-Founder Starts Venture Capital Firm". Mashable. 20 March 2008. ↑ Gallagher, Leigh (14 February 2017). "The Hustle". The Airbnb Story: How Three Ordinary Guys Disrupted an Industry, Made Billions . . . and Created Plenty of Controversy. Houghton Mifflin Harcourt. p. 31. ISBN 978-0-544-95387-1 . Retrieved 8 November 2017. ↑ "YouTube faces backlash for Google+ integration". CNN. Retrieved 10 September 2014. ↑ Cheredar, Tom (8 November 2013). "YouTube cofounder's first public comment in 8 years: 'why the f*** [sic] do i need a Google+ account to comment on a video?'". VentureBeat. Retrieved 11 November 2013. ↑ "Google Plus Finally Gives Up on Its Ineffective, Dangerous Real-Name Policy". Slate.com. Retrieved 13 September 2014. ↑ "Google is dropping its Google+ requirement across all products, starting with YouTube". VentureBeat. Retrieved 8 August 2015. ↑ "Google+ to shut down". CNN. Retrieved 8 October 2018. ↑ "Project Strobe: Protecting your data, improving our third-party APIs, and sunsetting consumer Google+". Google. Retrieved 8 October 2018. ↑ "Dr. Dobbs Article, A Windows 3D Model Viewer for OpenGL".